Better late than never: let's emphasize the great value of Regardsprotestants, a French-speaking website dedicated to news from a Protestant perspective. The Pastor Eugène Bersier Foundation, with the help of WordAppeal, has launched it at the beginning of 2013. 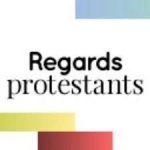 A unique and remarkable gateway into the French-speaking Protestant world, www.regardsprotestants.com unites content from about 60 French Protestant media (blogs, TV, press, radio, etc.). From society to faith, culture and international affairs, the website covers all topics that are making headlines around the world. This new website - completely free - is gaining a growing attendance. It is aimed at people of the Protestant faith, and more broadly, to anyone interested in religion.